Twist of Fate "Don't Leave Me In The Dark"
The Brownies "Duck and Cover"
Yippy! Finally another show from my favorite podcast. Your doing the world a service keep it up. Thank you for updating. Your podcast rocks! There are very few podcasts I get that I think "Alright something great to listen to today"! I LOVE OLD WAVE RADIO! You rawk!!! 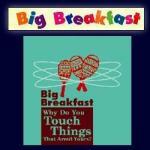 I love this podcast it gets me going in the morning comute. Special DNN - BUSINESS NEWS Report For Dan Klass! I have a cruise travel site/blog. It pretty much covers cruise travel related stuff. Hey Dan Klass, I was searching blogs, and came onto yours, and I like it. I kinda landed here by accident while searching for something else, but nice blog.. If you got time , come visit my site, http://www.themalloftheworld.com/deneskollar. It pretty much covers Hardware and similar stuff. Your blog "#14: Almost Lost Edition", leads me to believe you will find my information on our Best Career Wages site to be very beneficial. As a result of reading your blog "#14: Almost Lost Edition", I think you will discover my site on Highest Wages In All States will be a great help. We have a viral marketing system tool that is a really cool viral marketing system tool. I have a network marketing site/blog. It pretty much covers network marketing related stuff.